Another iHerb order arrived for me this week. Just a little one this time. Dang Coconut Chips - a must have every order. Now Acai Powder - I ran out of my last Acai, and the one I bought last time was sold out, so I decided to try a new brand. 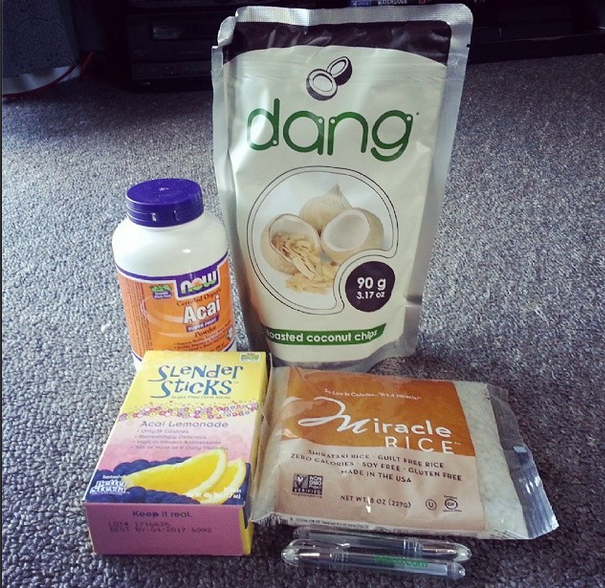 Miracle Rice - I've heard a lot about this, so decided to try this zero calorie rice. Let's just say, the small globdules of rice in the thick watery package doesn't excactly appeal to me. Will be interesting to see what it's like...! That's it or this order, I'll be back to review the slender sticks and miracle rice. Remember to use my code LDJ484 to get a discount at iherb.